The LIFE Institute was founded in 2002 to inspire and innovate the practice and education of hospice and palliative care professionals. 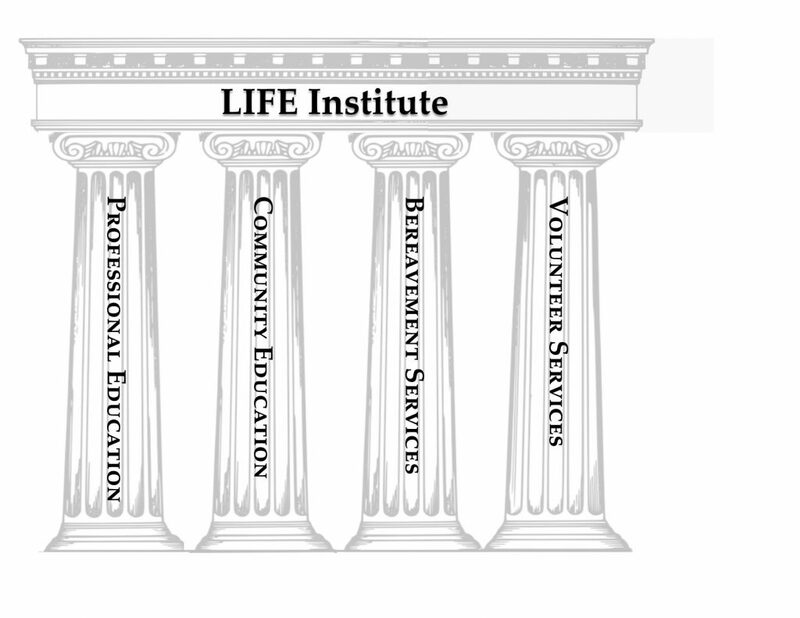 Since that time, the LIFE Institute has expanded its scope to include extensive interdisciplinary educational programming, empowering community engagement, academic research partnerships and counseling services. 1998 – Partnership of Hope was an early incarnation of the LIFE Institute established in partnership between Resurrection Health Care and Lutheran General Hospital. 2002 – LIFE Institute for Learning was created to innovate practice and educate health care professionals and community members on issues for families facing advanced, complex illness. 2004 – LIFE establishes a consulting pharmacy practice (no longer an active program). 2011 – Launch of Dementia with Dignity, a specialized program of care for people living with advanced dementia. 2014 – Dr. Nicholas Parise appointed as Dean of LIFE Institute. 2014 – Received the Patient-Centered Outcomes Research Institute grant in partnership with the University of Illinois at Chicago. 2015 – Launch of the Hospice and Palliative Medicine Fellowship with Resurrection Medical Center. 2015 – Merged with Volunteer and Bereavement Departments to enhance interdisciplinary education. 2016 – Launch of the Dedicated Education Partnership for nursing with Resurrection University. 2016 – Creation of a Bereavement Fellowship Program. 2017 – Partnership with Holy Family Medical Center’s Keys to Recovery Program. 2018 – Established and merged Integrative Therapies (music and massage) into the LIFE Institute to enhance interdisciplinary education. Radio Segment: Nancy Flowers, LCSW, Community Education Program Manager/Dementia Program Manager, discusses the intersection of the continuum of care and preferences of care for patients living with advanced, complex illnesses.